On Friday, my mom took us out to dinner at Ajimi, one of the better sushi places in Fairbanks. 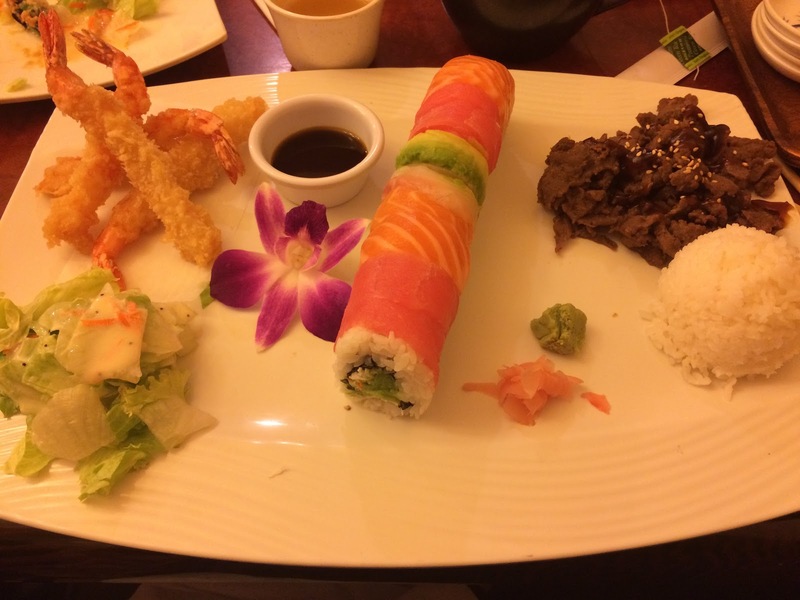 This sushi offering is referred to as the rainbow roll for obvious reasons. The outer layer is different kinds of sashimi and inside of the sushi rice is crab meat. Pretty tasty. Their specialty seems to be the very non-Japanese type of sushi that Americans seem to enjoy. Very large rolls, deep fried rolls and other weirdness. On Saturday morning, we rode (yes, rode) to the Farmers Market after the regular visit to College Coffeehouse. 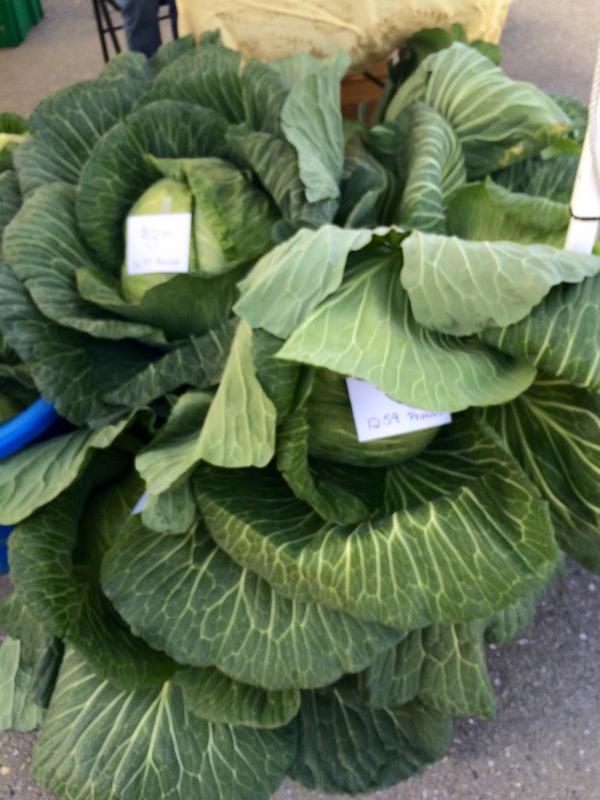 There was a vegetable vendor selling their giant cabbages. These were moderate sized ones ranging from 12 to 18 pounds each. I used to make sauerkraut with a couple of these filling a 5 gallon stone crock. I haven't done this for years. On Saturday afternoon, the credit union had sponsored a visit to Calypso Farm and Ecology Center for those over 55 years old. They have a couple of thousand school students run through on field trips so they had the lectures down pretty well. Their produce isn't "certified organic" as they found the paperwork not worth the trouble. It was a nice relaxing way to spend the afternoon before I had to meet with a plumbing contractor about a hot water heater problem. 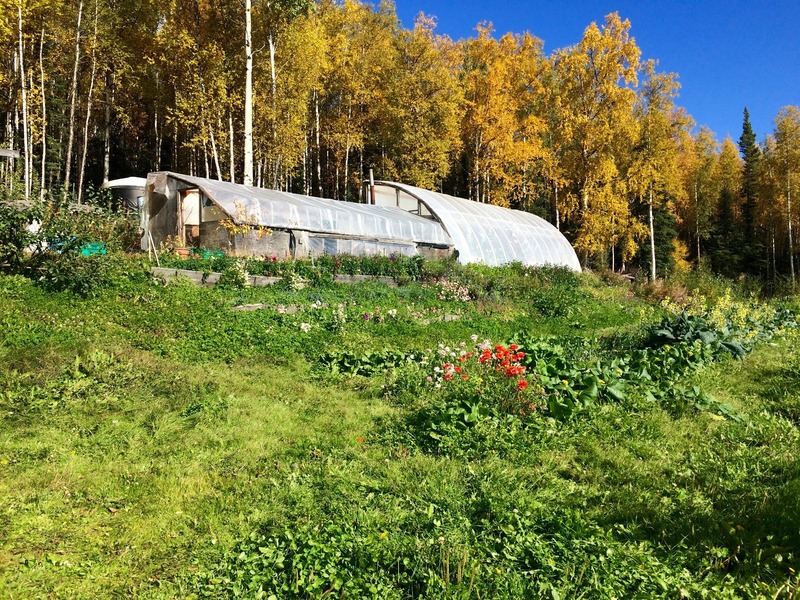 Plus the farm is located on the Old Nenana Hwy outside of Ester. I was wondering what the condition of the road is in as I hadn't ridden it for a couple of years. It was in great shape. Not too many tar strips or pot holes like there was a few years back. 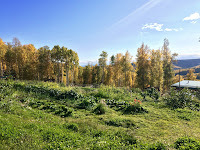 One last photo from the farm as they were showing off their apples. 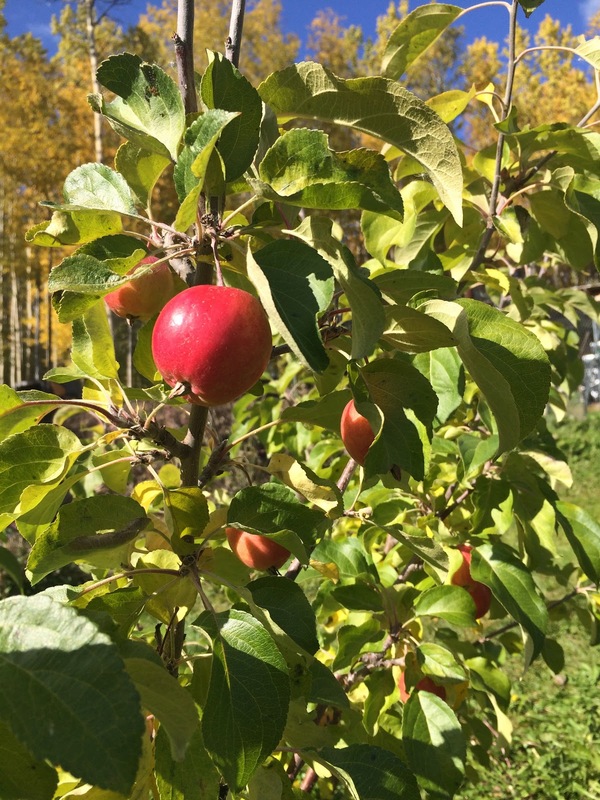 In order to grow apples in Fairbanks, they needed to do a lot of experimentation to find the right type as well as the right kind of tree to graft it onto. From what I remember, it is some sort of apple from Russia. 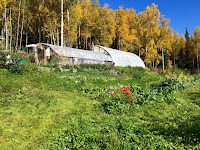 I wouldn't have thought apples in Alaska (as I sit here in apple heaven.) Did you taste one? My apple tree (+/- 100 years old) blew down this year, but my neighbor has two young trees that are loaded and pretty close to the fence; I'm tempted. I love fresh apples. No, I have never tried the Alaska grown apples. 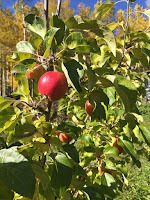 They did mention that the apples that seem to do well in colder climates don't keep very well and is mostly suitable for making into applesauce and cider. I have to really watch my speed on the Beemer as, even with the sidecar, it reaches 55 so easily. I guess I must have really gotten used to cranking the throttle with the Ural.